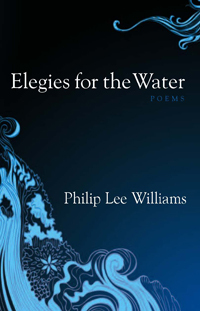 “Elegies for the Water is a beautiful and mature book of poems steeped in the joys and mysteries of the natural world. At the end of a dirt road near Wildcat Creek, the world has been speaking to PhilipLee Williams, and the poems he has brought us from this place are lessons in the art of being human. They operate on the spirit like healing herbs. If I had to describe these poems with one word, I’d call them wise. They achieve a difficult and genuine wisdom that can only be won after ultimate resignation has turned into a wild and sustaining gratitude. Very few writers ever attain this. There is something here about the ultimate, maybe even the eternal. When we find this sort of gratitude for the world and our place in it, there is really nothing greater to accomplish.” —Georgia poet laureate David Bottoms In this collection, Philip Lee Williams shows again his well-known ability to combine the arresting image with the moment of sudden insight. Deeply intertwined with the natural world of his Georgia country home, Williams’s poems are testaments both to time-tested forms and the free impulse of contemporary verse. While his poems are often clear and sharp as a winter stream, he also writes with a healthy respect for the dense, iconoclastic masters of twentieth-century poetry and from centuries before, examining order and disorder in the human and natural worlds with the kind of fascinated and passionate scrutiny he has shown in many earlier books.